The Disney Point Top 10 Walt Disney World Attractions | What's the Point? For some reason I always find this topic to be the most difficult to write about. My favorite attraction? I love practically every attraction! But I think that the real reason why I find this to be such a difficult task is because every ride at Walt Disney World is so unique and different. We are not talking about a park full of cookie-cutter super coasters! We are talking about rides and shows that are well-themed and thought out by Disney Imagineers. So for the purposes of this post, I am sticking to Walt Disney World and I am also eliminating parades and nighttime spectaculars such as Wishes and Illuminations. I need to have some parameters or my brain will explode! I'm guessing that this will come as the biggest surprise to my readers. You may wonder why, with all of the amazing attractions at Walt Disney World, I would pick a relatively new stage show. I picked it because it's fabulous. Finding Nemo: The Musical is an extremely well done stage show not only for a theme park, but for anywhere. As someone who regularly sees Broadway shows I tend to be critical of stage productions. However, if you add on another hour to Finding Nemo: The Musical, put it on 42nd Street, and charge $90 a ticket, you would have a Broadway production. ﻿ On your next trip, I highly recommend that you go see this show. I think it is extremely well done and I enjoy it every single time. The music is not at all forced (as it sometimes can be when you add music to a non-musical), the set is bright and colorful and the actors do a terrific job. Arrive early for the best seats, sit back, relax and enjoy this Broadway-caliber production! When I heard the plans for Toy Story Mania I was confused. An arcade-style shooting game based on Toy Story? Isn't that what the Magic Kingdom's Buzz Lightyear's Space Ranger Spin is? From the lines and the all out sprint to the attraction each morning for the past three years at Disney Hollywood Studios park opening, it is easy to see that Toy Story Mania is so much more than a simple shooting game. ﻿ Even the line for Toy Story Mania is amusing! (And that's good, because you'll be waiting for quite some time!) I had the privilege of riding Toy Story Mania during Cast Member previews. While we were walking through Andy's room (the line) I heard, "Hey you in the green shirt!" I looked down at my green shirt in shock. "Who's your favorite toy?" asked Mr. Potato Head. "Woody!" I shouted back at him. "Hmm... Who's your second favorite toy?" he responded. He then pulled out his ear. I knew then that this was something special! 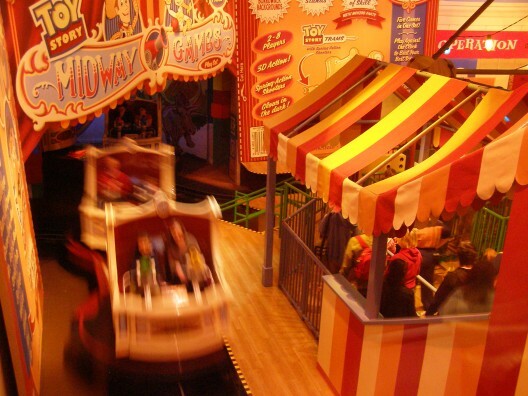 Toy Story Mania incorporates 3D technology into the game. When you shoot you can actually see the items coming out of your cannon. My only gripe with the attraction is that I still have yet to beat my husband. I always have the accuracy but not enough shots fired! Why do I love it? In the short 3D film I get to swim with Ariel, be a king with Simba, fly with Peter Pan and Tinkerbell, get splashed in the face by a broom with a bucket from Fantasia, ride on a magic carpet with Jasmine and Aladdin and get serenaded by Lumiere! And best of all, Donald steals the show! Donald is underutilized at Walt Disney World and it's so great to have him be the center of attention at Mickey's PhilharMagic. "Like a grand and miraculous spaceship, our planet has sailed through the universe of time. And for a brief moment, we have been among its passengers." There is something about Spaceship Earth that gets me every time! The iconic geosphere is the central focal point for Epcot; however, it is so much more than that. This slow-moving journey through time isn't going to be first on the must-do list for thrill-seekers, but if you are a history buff this attraction is not to be missed. In 2008, Spaceship Earth was refurbished and premiered with upgraded scenes and a new narration by Judi Dench. While I was a fan of the Jeremy Irons version, Spaceship Earth still is one of my favorites. In addition, there is a new interactive ending that features a touch screen and lets you see a vision of your future. As a former Space Mountain Cast Member, it would seem that I would be obligated to include this attraction. However, this is more than an obligatory mention. For many American children, Space Mountain will be their first roller coaster. While it only travels at 27 miles per hour, it succeeds in making me squeal like a kid every time I ride! There is also something mysterious about Space Mountain. Because it is pitch black the turns and drops always keep you guessing. ﻿ Finally, the building itself is marvelous! Think about it. They built this entire structure just for one attraction. It is an important part of the Magic Kingdom "skyline" and I can't imagine the park without it. When the gates of Disney's Animal Kingdom Park first opened almost fifteen years ago, I was skeptical. Is it a zoo? (Disney very clearly stated that it was Nahtazu!) 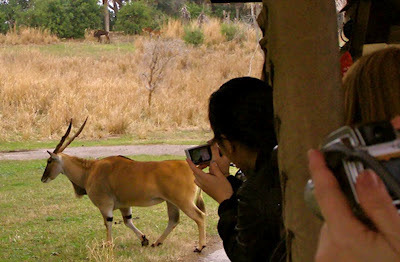 It was not until I rode Kilimanjaro Safari the first time that I truly understood the point of the park. It is one of the most unique attractions at any theme park around the world. The animals are simply breathtaking and, best of all, they aren't caged behind bars. One of the best parts of Kilimanjaro Safari is that it is a unique ride experience every time you ride. The spiel may be the similar but the animals are the stars of the show. You may see the cheetah roaming around in the morning but that night he's no where to be found. One side note: If you follow me on Twitter or Facebook you probably know by now that they are eliminating "Little Red" from the Safari for more animals. I think this will only make the attraction more exciting, but it will be interesting to see where the story goes. If you can have any super power, what would it be? Along with the ability to be invisible, I would guarantee that among the most common answers to that question is the ability to fly. Every day at Epcot Soarin' gives guests the ability to fly and that is why it's among the most popular, and impressive, attractions. There have been several virtual reality attractions at Disney Parks and there have been several large screen movies, but Soarin' combines the two by utilizing a truly innovative ride system. You are moving along with the screen, with wind in your face. You smell the oranges as you go through the orange groves. You feel like you are part of the film. ﻿ Soarin' doesn't need to drop you 13 stories or blast you from 0 to 60mph to be thrilling, which is probably why I like it so much. And considering it is one of the only attractions where people still applaud every time the ride ends, it is safe to say that it is among the guests' favorite attractions at Walt Disney World. 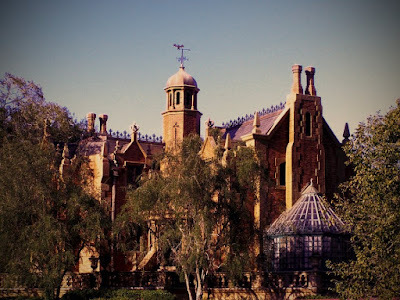 The mansion is another iconic Walt Disney World attraction that I simply could not leave off of this list. Without the use of characters or a movie, the Haunted Mansion is one of the best themed attractions at Walt Disney World. It is also an attraction that the whole family can enjoy together, as Walt intended. Starting from the moment you enter the ride, you are immersed in the Haunted Mansion story. From the creepy music to the Cast Member costumes, there is no doubt what attraction you are waiting for. The actual building itself is haunting and with the addition of the new interactive queue, Disney Imagineers are keeping you busy throughout your wait. The Haunted Mansion has gone through a few refurbishments throughout the years, but the Imagineers have done a great job of keeping the integrity of the original ride. Parents, who experienced the Haunted Mansion many years ago as children, now get to show their own kids the hitch-hiking ghosts and the grim, grinning ghosts at Walt Disney World. When Disney Imagineers plan out attractions, they never just come up with a ride. It is meant to be an experience. So when they were planning out Splash Mountain there was no way it would just be another log flume. Instead what they created was a 12 minute storybook ride. 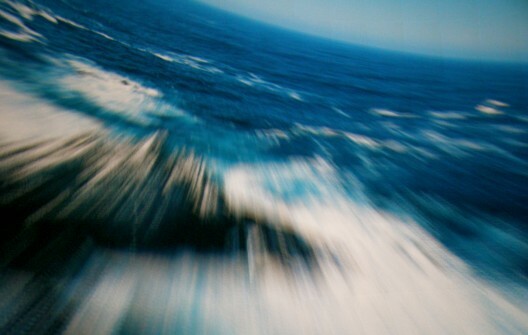 The story unfolds as you drop down and float into each new scene. It culminates with a 52 foot drop that is unforgettable. Everything including the music and the animatronics contribute to the feel of this attraction. The first time I rode Splash Mountain was Easter week the year it opened. We waited three hours in the extremely unpleasant Florida heat. But because of the longevity and the quality of the attraction, I felt that it was more than worth it. Splash is a definite must-do for me! If you review my top ten you will see some patterns. I do like family-friendly attractions. But mostly I enjoy well-themed attractions. I have selected the Tower of Terror as my #1 attraction because I believe that it is the single best-themed attraction at Walt Disney World. From the moment you step foot on Sunset Blvd. at Disney's Hollywood Studios and you begin to hear the screams from the Tower of Terror, you are already experiencing the attraction. 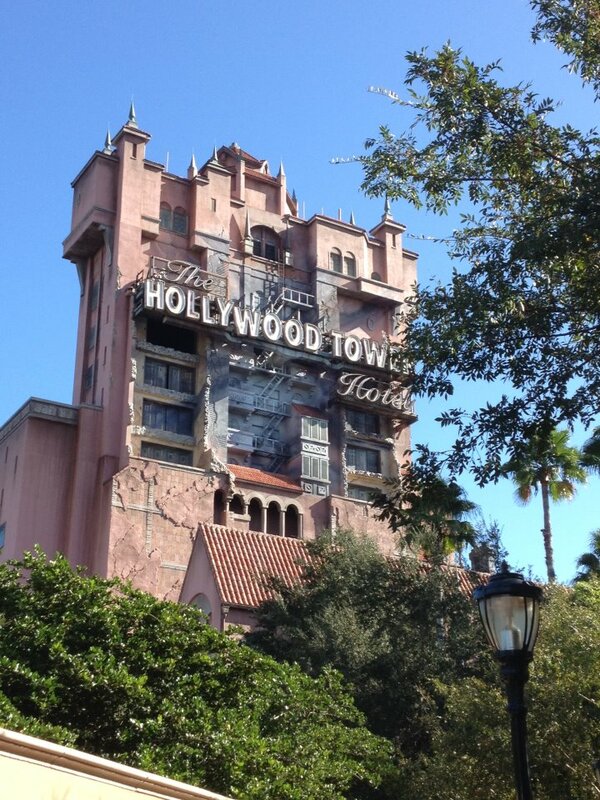 However, once you step onto the line at the Hollywood Tower Hotel, you are fully immersed in the story. It truly is Hollywood in 1939 and every detail reflects that time and place. The lobby of the Hollywood Tower Hotel is my favorite part of the entire attraction, even more than the ride. Next time you are there take a few minutes to look around. Even the dust and cobwebs are intentional. The preshow, which is an "episode" of the Twilight Zone television show, is a chilling start to the attraction. Next you are in the creepy basement of the hotel. The Cast Members truly get into character here, frightening guests by their strange behavior. And just like Splash Mountain isn't simply a log flume, the Tower of Terror isn't simply a free fall. The story is intertwined with the attraction. Imagineers constantly try to find ways to improve attractions, even after they are completed. A few years ago, the Imagineers figured out how to set different ride sequences for the Tower of Terror. Therefore you could ride the attraction several times and the ride experience may be different every time. Not only did this make the attraction more exciting, it also made it more terrifying, even for guests like me who have been on the attraction hundreds of times! So do you agree? Disagree? Please let me know in the comment section! Also check out Heidi's page for more top ten lists from other Disney bloggers. * A special thanks to Dennis Brown of Dennnis Brown 360 Photography and Glass Slipper Concierge for the use of his beautiful photos! 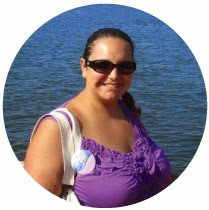 A big thank you to Heidi Strawser for hosting Destination Disney blog hop! 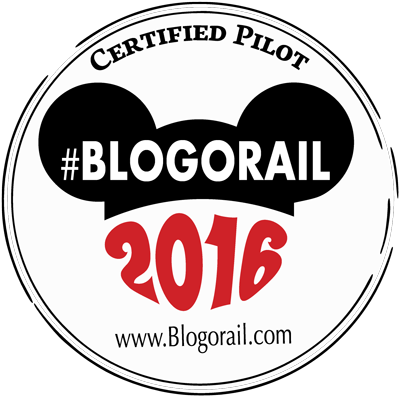 Go check out the other Disney bloggers' Top Ten lists! What a great and detailed list. I have to agree with you on your #1 choice! Thanks for playing along this week! I tend to be VERY long winded... sorry about that! :) Thank you so much for hosting! Since I'm a relatively new blogger, I'm very glad that I can join in on the Destination Disney fun! The FInding Nemo show is ah-MAY-zing. My son (who was 2 1/2 at the time) was completely hooked. I don't think he blinked once. Great list! Thanks Elyse! I have the soundtrack and I listen to it all the time. The music and the staging is great! Great list! 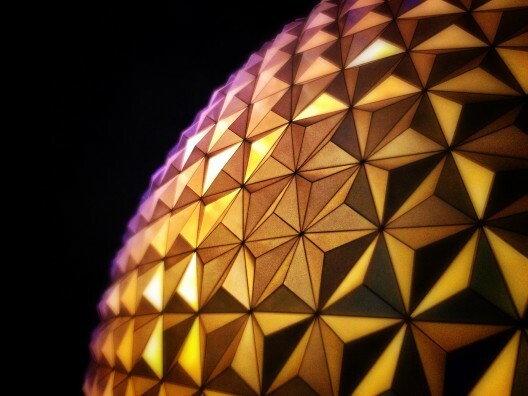 That pic of Spaceship Earth is so simple yet stunning! Love your list!!! 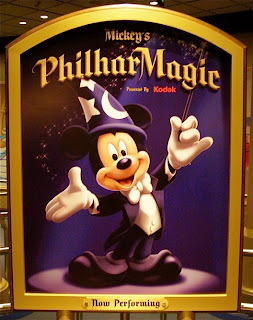 The Finding Nemo show IS terrific and I love the Philharmagic also -- huge Donald fan, how could I not? I could not agree with you more. Having been to DW over 50 times, i simply have to say they are my most popular attractions. Thanks and keep up the good work! Thanks Amy! Dennis is a fabulous photographer and he sees everything in a different way. Definitely check out his website and Facebook page! Thanks for stopping by! Thank you so much Jennifer! I hope you enjoy it here at The Disney Point. Finding Nemo and PhilharMagic are such great shows. I tend to cry (a lot) and both bring tears to my eyes. That to me = good attraction! Thanks again for taking the time to read my post! Haha! You would think when you saw the lack of line a PhilharMagic that we were the only ones, right? I always get teary when I see little kids memorized by the video. I think I also like it because I really hated the Lion King show that was there before Philharmagic. I just never liked it. These are pretty awesome attractions as well as Disney Garden Festival I guess? ?